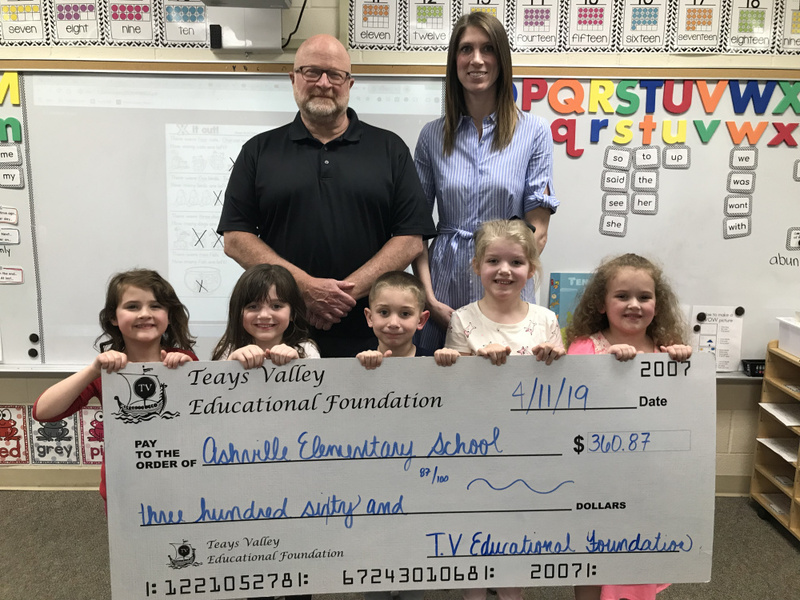 Congratulations to Ashville Elementary School kindergarten teacher Kim Strayer for receiving a $360.87 grant for a sensory path at Ashville. According to Strayer, sensory paths are bright, colorful stickers that were first developed by occupational therapists and physical educators. They are a quiet, safe way to provide students the sensory input or ‘brain break’ they may need to refocus and self regulate.